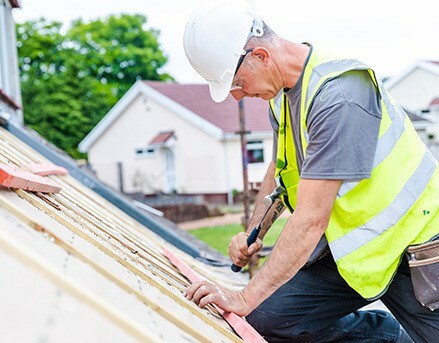 With a large team of experienced roofers (each specialist in varied aspects of roofing) we have a combined experience of over 35 years in the industry. Our West Lothian based roofer team provide specialist roofing services across Central Scotland, including Edinburgh, Glasgow and the Lothians. Taylor Roofs is led by Managing Director, Jamie Taylor, who has an absolute passion for roofing and an unrivaled commitment to 100% customer satisfaction. We offer you a hassle free roof repair or roof replacement service where we will meet you at your convenience, provide you with a detailed photographic roof report so you have a complete understanding of what work needs to be done, and we back all of this up with guarantees to provide you with total peace of mind. Taylor Roofs are proud to be part of Edinburgh Trusted Trader, West Lothian Trusted Trader and the Federation of Master Builders. These accreditations are valuable to us as we know how important it is for our potential customers to find unbiased testimonials and reviews of our work. Click on the links below to find out more. Jamie and his team were extremely professional, prompt and courteous. Very reasonable price for a job well done (new dry ridge system & replacement flat roof to dormer). Had a full new roof, chimney removed new gutters & fascia, started on Monday finished basically on Wednesday and it's a top job, looks great and done properly. Roof repairs, replacements and UPVC Roofline specialists. An accurate roof survey can potentially save you thousands. We have many years experience in roof building contracts. With the right care and attention, your roof will protect you and your family for many, many years. However, some roofs reach a stage where they need to be repaired, or worse fully replaced, prematurely just because they haven’t been cared for properly. That’s why we have introduced our Roofing Service Contracts to keep it in tip-top shape, maintaining your roof, roofline and guttering. Why Choose Taylor Roofing Services? Taylor Roofs have an unrivalled commitment to 100% customer satisfaction. As such, all of our roofing and roofline works are fully guaranteed for up to 10 years, giving you complete peace of mind. We have all the relevant insurances to ensure both your property and our staff are covered. This includes Public Liability Insurance of £5,000,000 and Employers Liability Insurance of £10,000,000. We have a wealth of experience with a team of roofing specialists who are very professional, courteous and tidy. We constantly provide training and courses to ensure our staff are up to the highest standard. 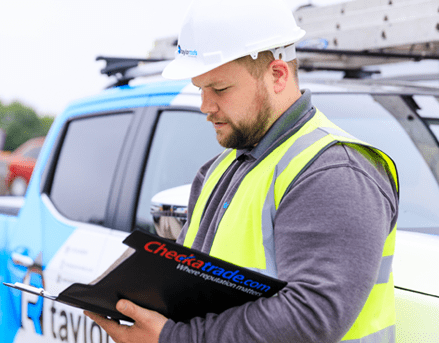 A thorough and accurate roof survey is crucial, as by spotting damage or problem areas early on, we can potentially save you thousands of pounds. As flat roof specialists, Taylor Roofs will remove the fear and panic often faced by homeowners by using our modern approach and flat roof technology with a roof that performs for years. Everyone is now more energy conscious. We often find homes that are suffering from condensation. 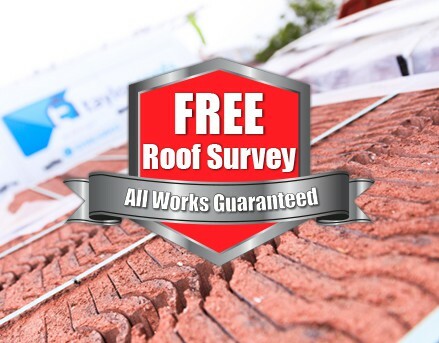 Following our free roof survey, we quickly identify and resolve the issue. We are the highest rated roofing contractor on West Lothian Council’s Trusted Trader Scheme. We are also vetted and highly recommended by Edinburgh Trusted Trader, Federation of Master Builders and My-Builder. We thrive on keeping our reputation 100% giving you peace of mind you are in safe hands. Taylor Roofs were selected as Grand Final Winners of Best Tradesmen 2016. This award was won against hundreds of competitors and is ultimately chosen on public votes. Our commitment to our roofing trade and customers is something we take great pride in treating every job as an opportunity to excel in the finished job that we have worked on and the expectations of our clients. 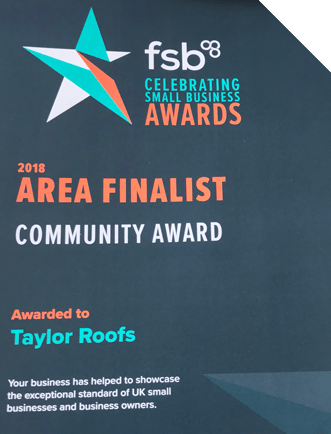 Taylor Roofs actively support many of the local events and activities in and around West Lothian, and we are delighted to sponsor Armadale Thistle Football Club. We hold an annual charity match in memory of a friend who committed suicide and we raise funds for suicide awareness and mental health awareness charities as well as giving donations to Armadale Thistle FC who give us the football ground and facilities on the day as well as other local charities. The day brings all of the community together and lets us remember our friend as well as generating donations for charities. We constantly update our clients and social media followers on our Facebook page where we not only showcase some of our works, but also run prize draws and promote our charitable work and events, bringing much needed awareness and funds to those who need it.